Occasionally the past has to revisited, especially if events are being re-written and used to deceive and mislead. After all a key objective of this portal on Tibet is to ensure just and challenging reportage. 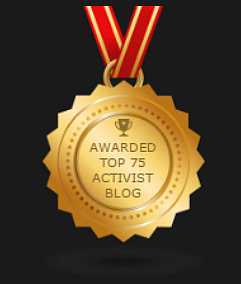 With that in mind we were prompted to draft this expose after receiving a heads-up from our Twitter team @tibettruth. 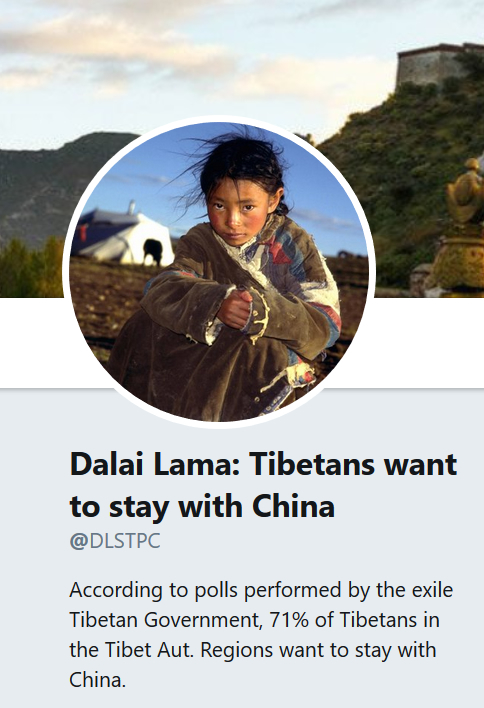 They monitor Tibet related timelines and discovered an account (see image below) which is pushing a major falsehood regarding the political aspirations of Tibetans in occupied Tibet. This assertion is a gross distortion and designed to mislead those across social media who have little knowledge of the Tibetan issue. You may be wondering why someone would choose to misrepresent this subject? Clearly there’s an agenda at play, one that has a worrying similarity with the propaganda of China’s regime, pushing the falsehood that Tibetans are content under Chinese rule. Of course to make a lie more palatable a suggestion of credibility helps, and whoever is behind the account has been careful to reference the exiled Tibetan authority. However, that’s another deception, so let’s break this all down and drag the deception into the light. In 2008 the first Special General Meeting of Tibetans was held in Dharamsala, India from November 17 to 22. During that event Mr Karma Chophel, then Speaker of the Tibetan Parliament in Exile announced the results of a covert ‘survey’ taken inside Tibet. In which he claimed 17, 000 Tibetans had been asked for their opinions on what solution they favored on Tibet’s status. It was not made clear how this clandestine questionnaire had been made possible, nor its methodology or indeed the form and nature of questions supposedly presented. The ‘results’ claimed that over 8000 Tibetans stated they’d follow the policy of the Dalai Lama (no surprise there then) while 2000 expressed support for the Middle Way policy. Significantly 5000 Tibetans were said to have demanded an end to the Middle Way in favor of a policy for Tibet’s independence. ( Source: Tibet’s Last Stand, Warren J Smith, 2010). It is this claim made by the late Mr Karma Chophel which appears to be the source of the fabricated assertions being promoted by the Twitter account shown above, distorted selectively and re-worded to emphasize a core deception. The term ‘poll’ has clear meaning and interpretation to any reader within the relatively free societies of liberal democracies, it also implies a certain authority. But the process of determining public opinion on political issues as hot as Tibet is not tolerated by China’s tyrannical regime. Anyone conducting such a survey, those taking part and their families would face torture, jail, forced labor or execution. The notion therefore that Tibetans took part in a poll to express their view on Tibet’s future status is a nonsense! Furthermore with several million Tibetans not participating in this ‘survey’ the assertion that 71% of Tibet’s population wish to stay within China is a blatant lie and completely inaccurate. There has never been any political surveys or polls conducted in occupied Tibet, while the exiled Tibetan Administration offers little detail on the subject. Hardly the democratic will of the Tibetan people, nor an actual referendum, but informal opinions and proposals, selecting to overlook that on the specific subject of support for the Middle Way those claimed to have declared their views expressed more support for Tibetan independence. Meanwhile, without any evidence of the methodology employed, nor structure and content of the questions, such declarations are claims only. Contrast these with the wealth of reports, eyewitness testimony and media accounts that document Tibetans protesting year-after-year for their national freedom.